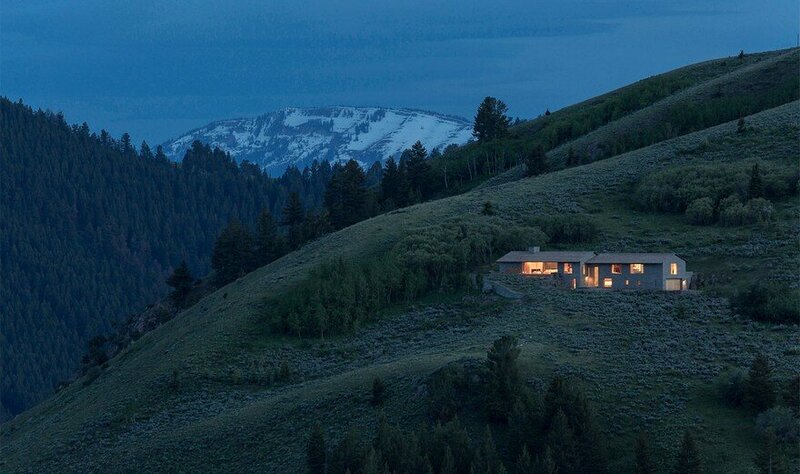 Jackson Hole is perched high above the town of Jackson with wide views of the snow capped peaks and vast valley of the Grand Teton National Park. 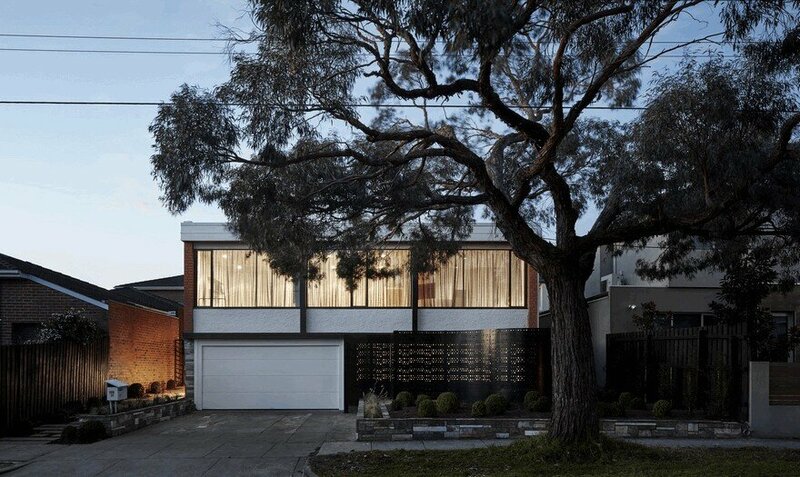 The house is designed by McLean Quinlan Architects, a leading architectural practice in the high-end residential sector. 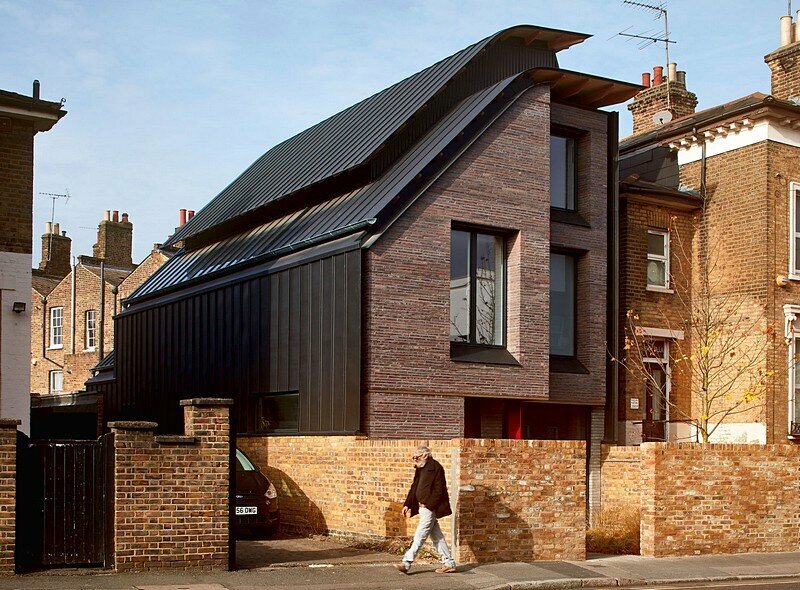 Based in London, the practice is increasingly taking on projects overseas in both the EU and US. 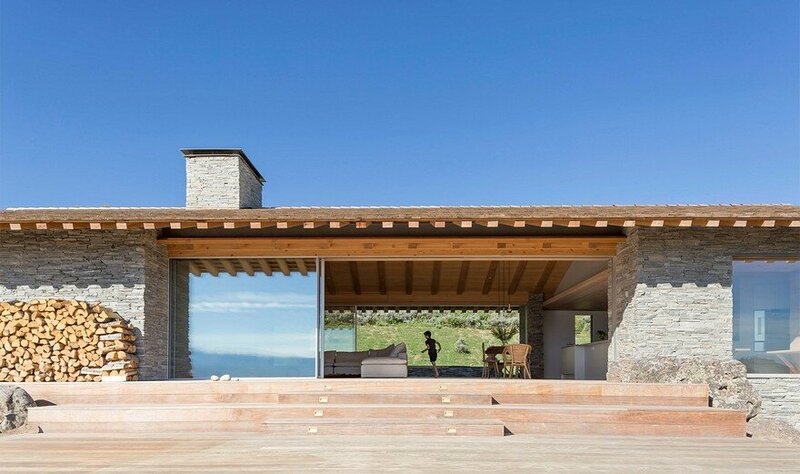 The design unites elements of both European chalet and classic American cabin. 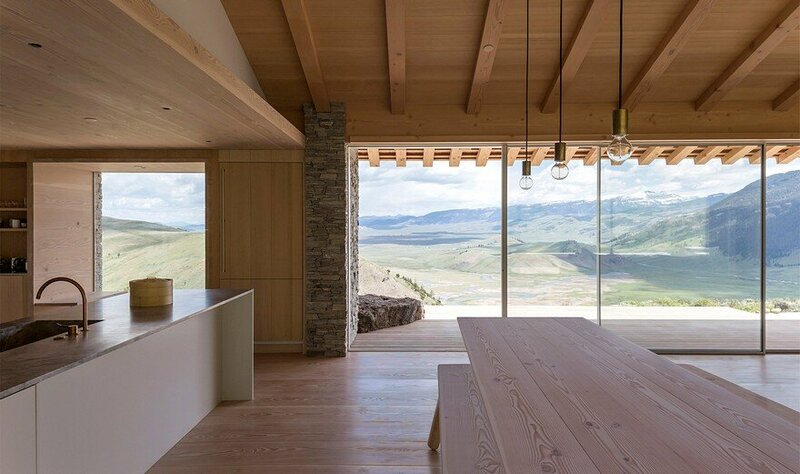 The Jackson Hole house feels rooted to the location, with a simple palette of stone, timber, plaster and glass. 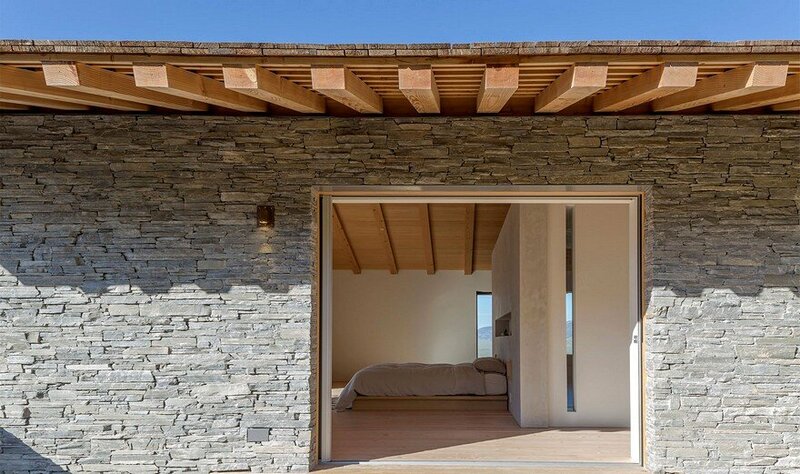 This is a strikingly simple and honest building, spatially serene, with a design and energy that connect indoor and outdoor spaces. 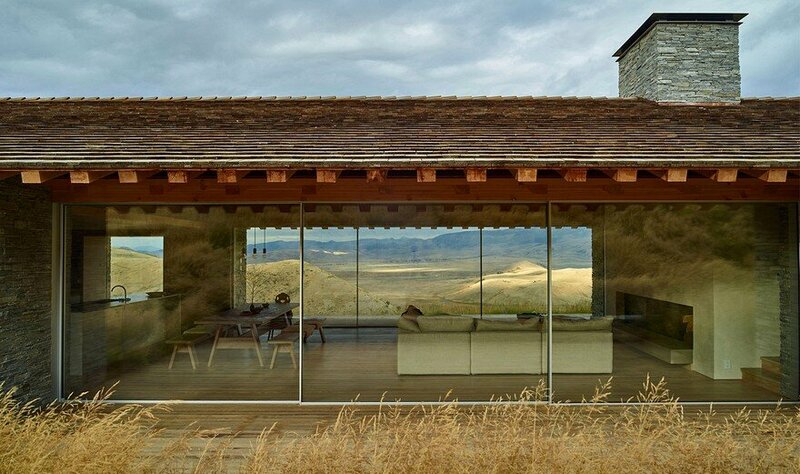 The building has a sense of solidity balanced with transparency, and contemporary with the vernacular. 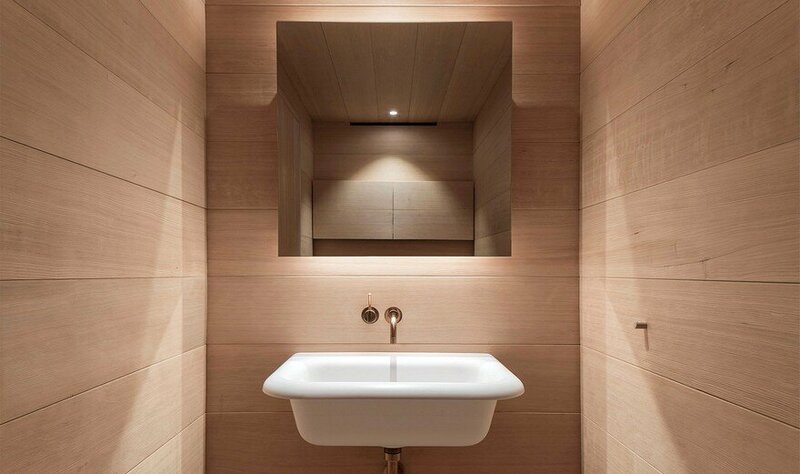 Every element carefully considered with close attention to detail and craft. 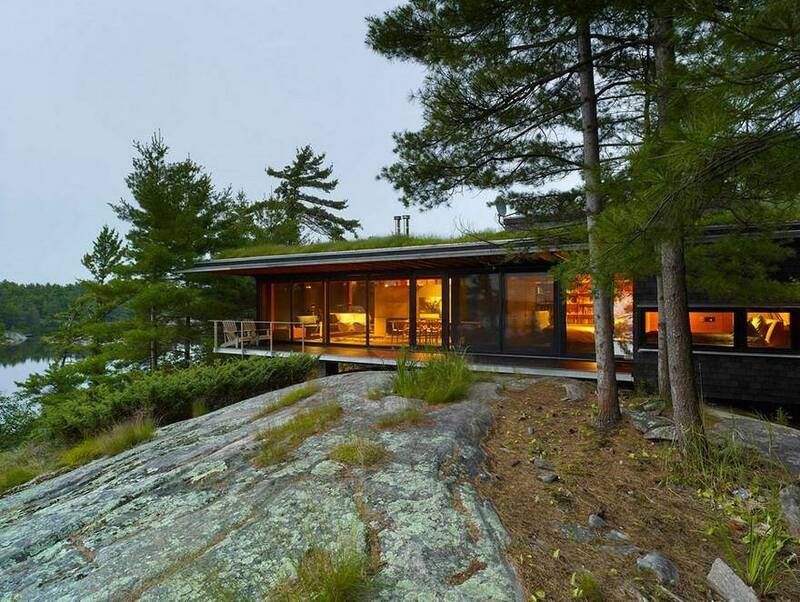 The orientation, design and natural materials – reclaimed and new – ensure the building links to the land. Boulders have been positioned to enable comfortable changes in level on the steep slope with indigenous planting of grasses and Aspen trees. 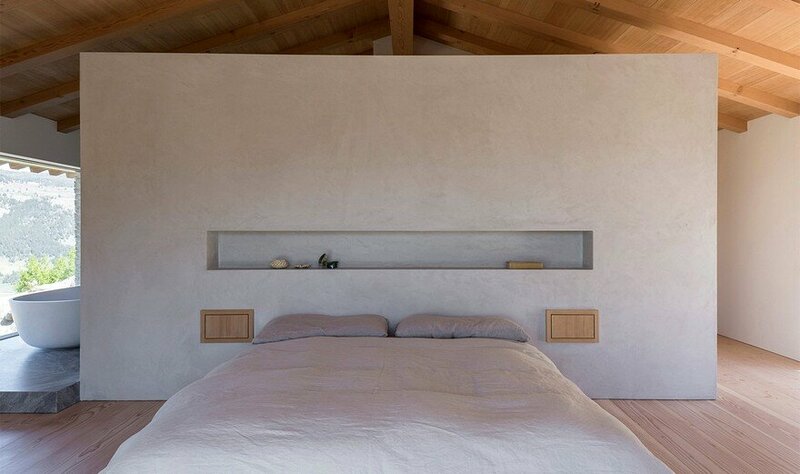 The detail and feel of the house were developed in close collaboration with our clients. 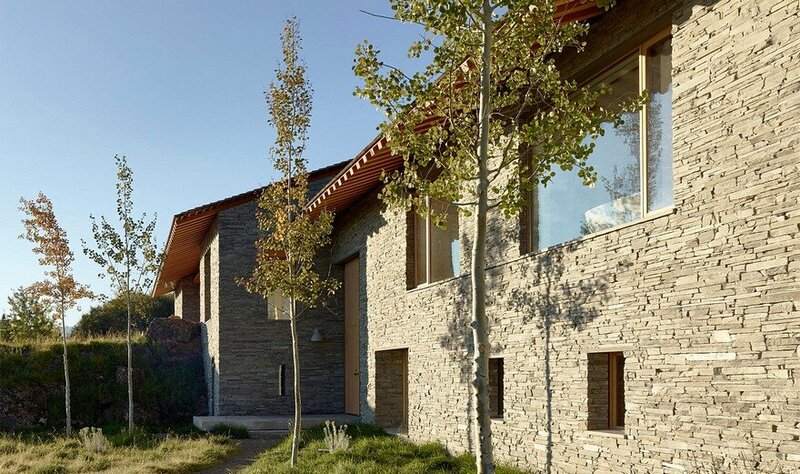 Pebbles were collected locally for the floor of the mudhall and spa. 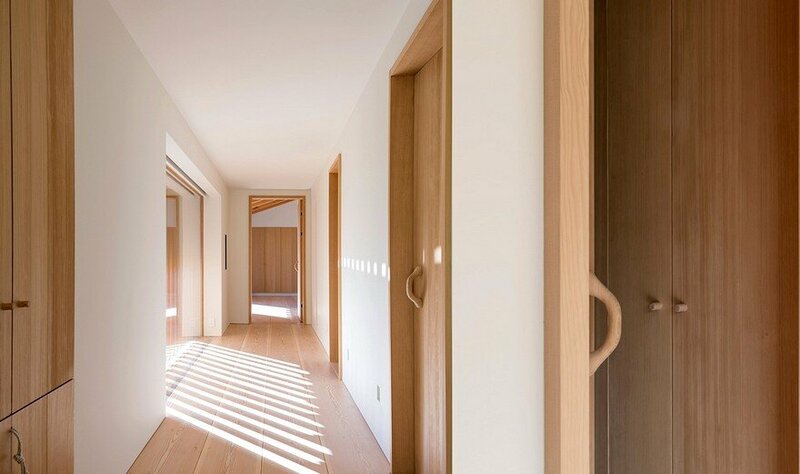 Timber pull handles were designed by our clients and made for the doors, together with benches and loungers to fill the house. 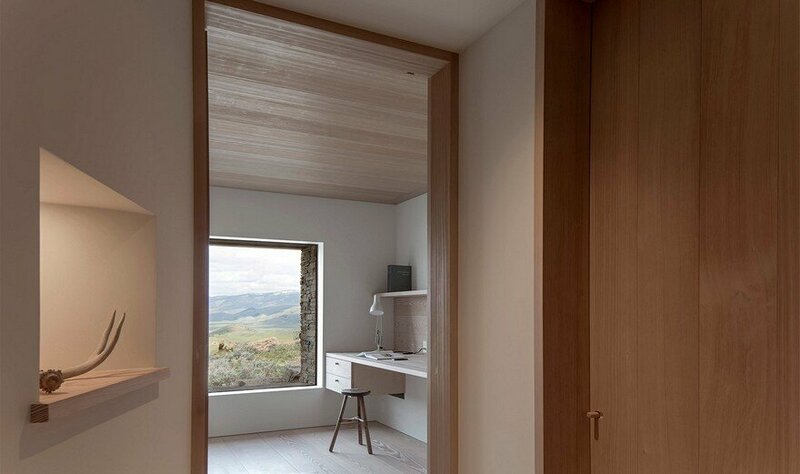 The mix of European and American design influences are everywhere. Local fir rafters set against a Danish Douglas fir floor. 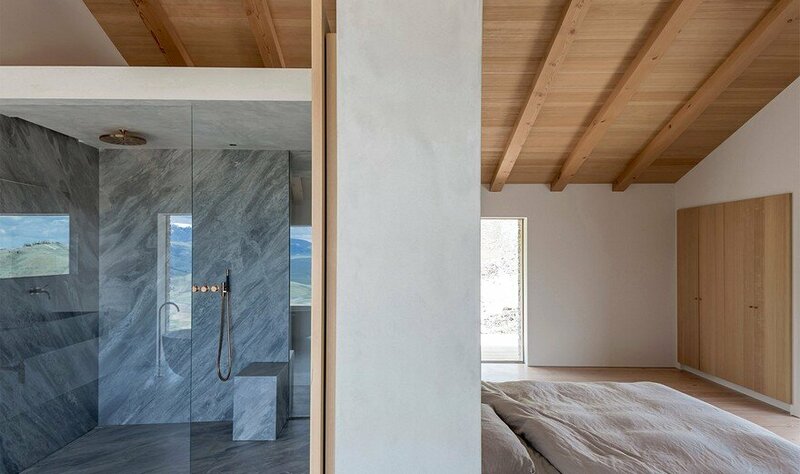 Sleek Swiss designed glazing open in walls clad in rough brushed local Hemlock timber. 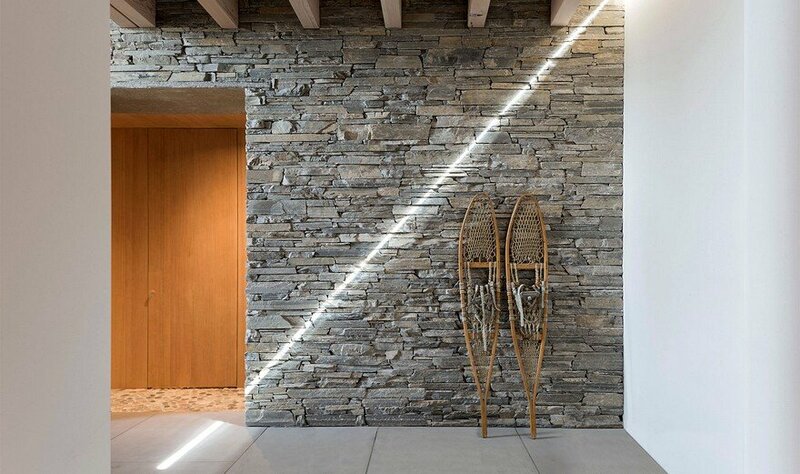 A restricted palette of natural materials and tactile elements were chosen to be improved by the patina of use and age to contribute to the ambience of the Jackson Hole house. 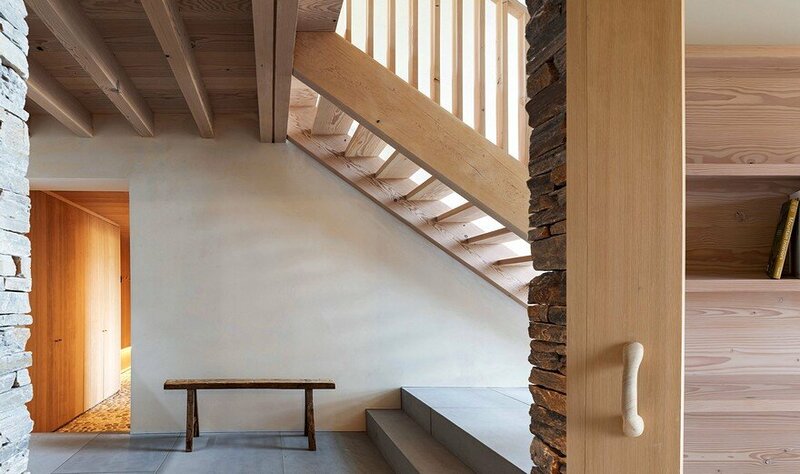 The smell of timber, the feel of the flooring underfoot, tactile contours of handles and handrails, and the breeze that passes freely through the house when the glass walls are slid open. 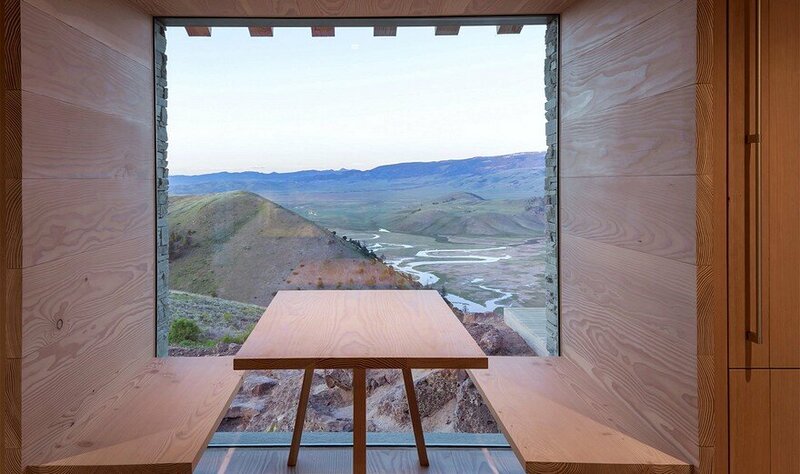 The experience is sensory and authentic to the place. 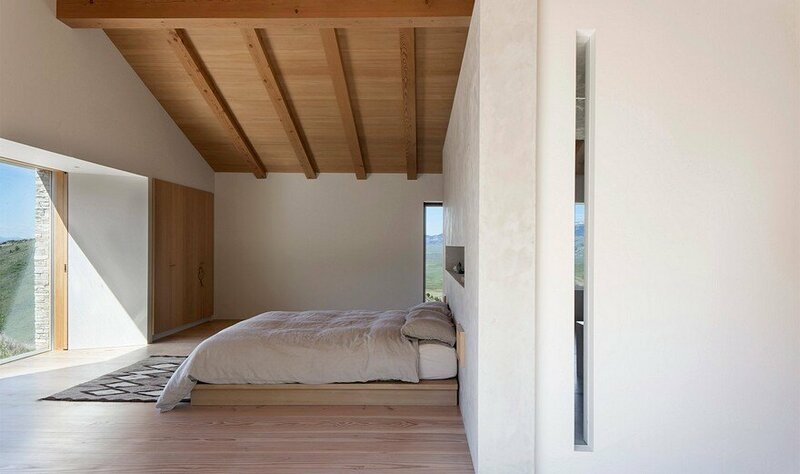 Spaces inside are varied and each distinctly different. 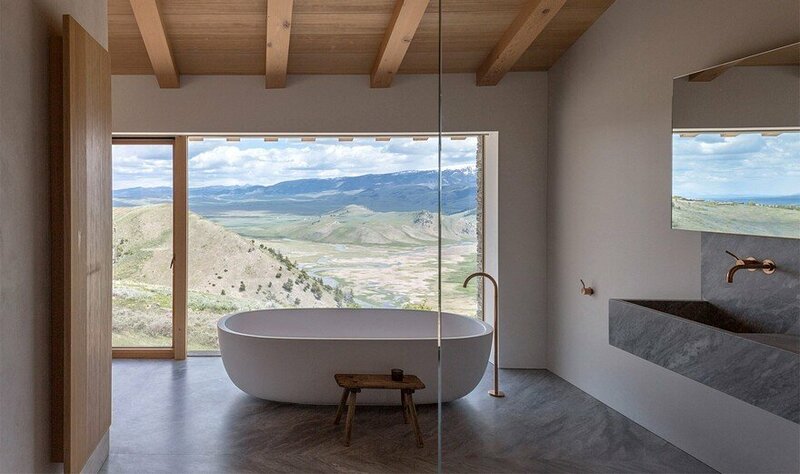 Downstairs, smaller rooms are intimate and inviting while upstairs larger airy spaces are interrupted by smaller nooks to pause and retreat to, always with a focus to the phenomenal views outside. 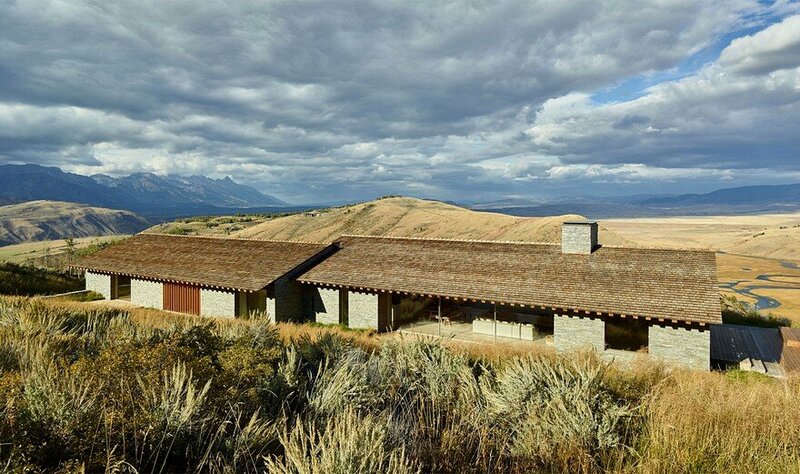 The main living space reinterprets the form of a historic settlers homestead – ‘Cunninghams Cabin’ – which stands in the valley below. 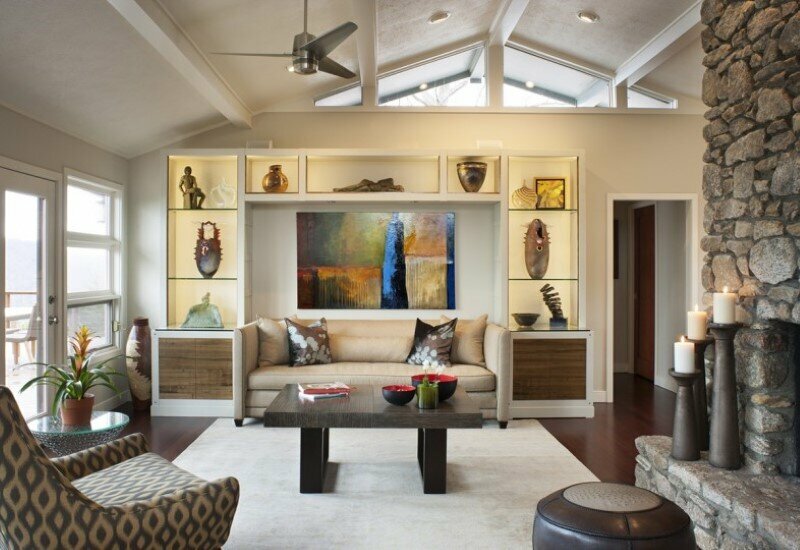 A symmetrical layout of sheltered rooms sit to either side of a central breezeway. 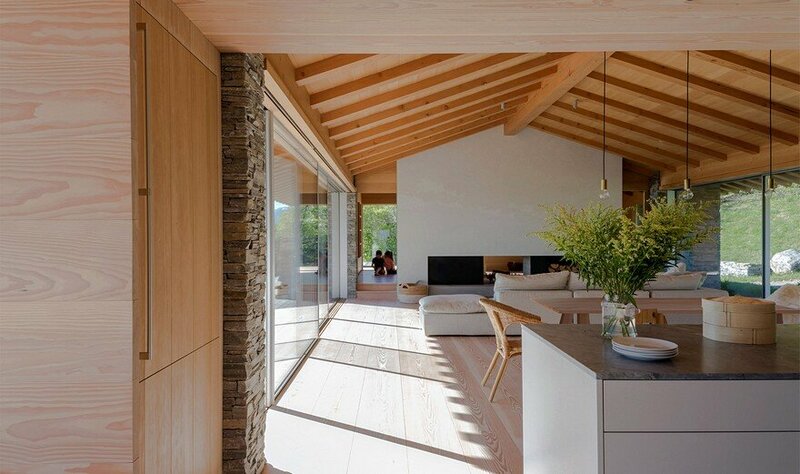 This breezeway space forms the main living area with a timber-lined ceiling, exposed rafters and large minimally framed windows opening onto projecting timber decks. 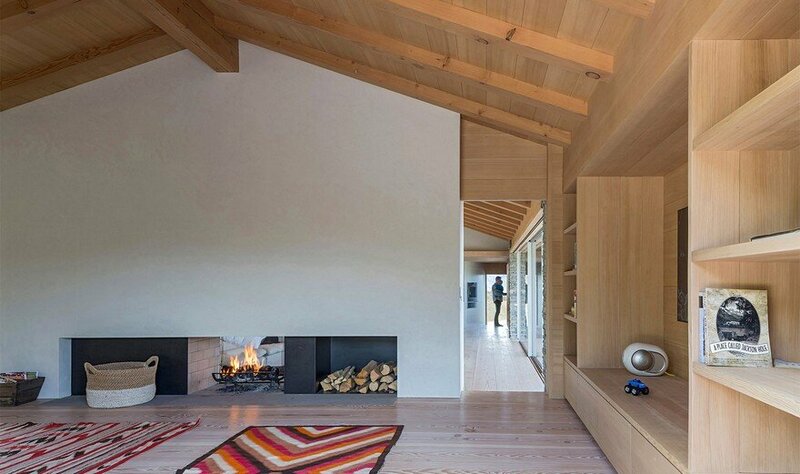 A large double sided fireplace is shared with the adjoining room, while the nook within the kitchen provides a quieter space to connect directly to the outside and the distinctive atmosphere of this special place. 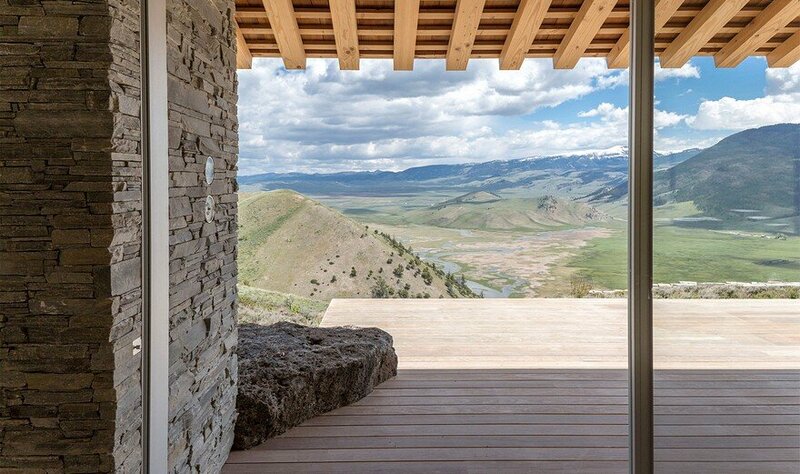 The silvered cedar shingle roof blends with the majestic landscape beyond. 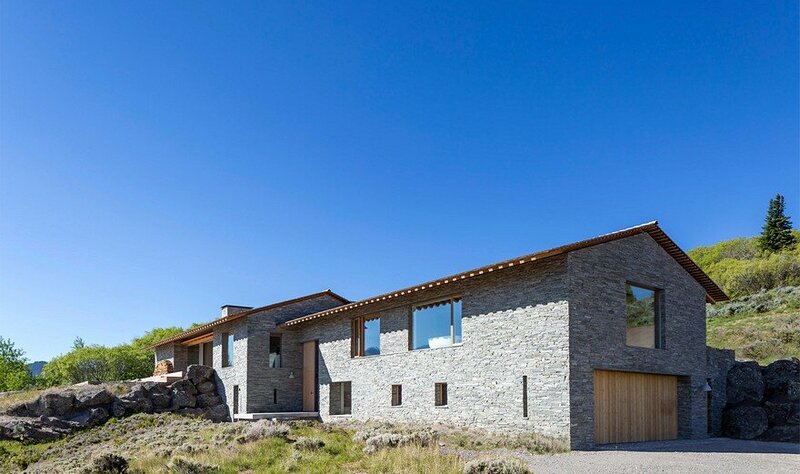 As the years pass the external stonework will cover with lichen, the sagebrush will gradually creep up to the boundaries of the house as the building marrys with the landscape.